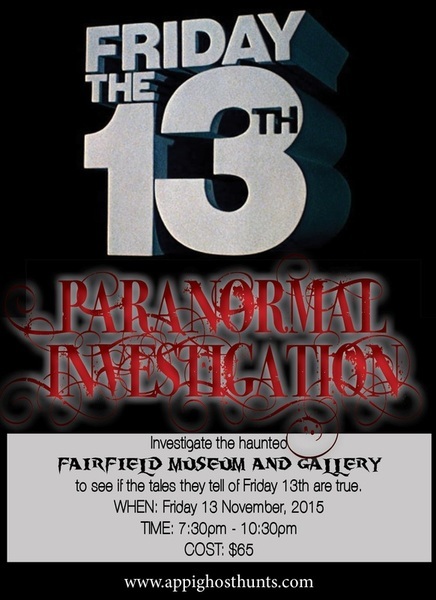 Join APPI as we check to see if the rumours are true... do more supernatural events occur on Friday 13th? 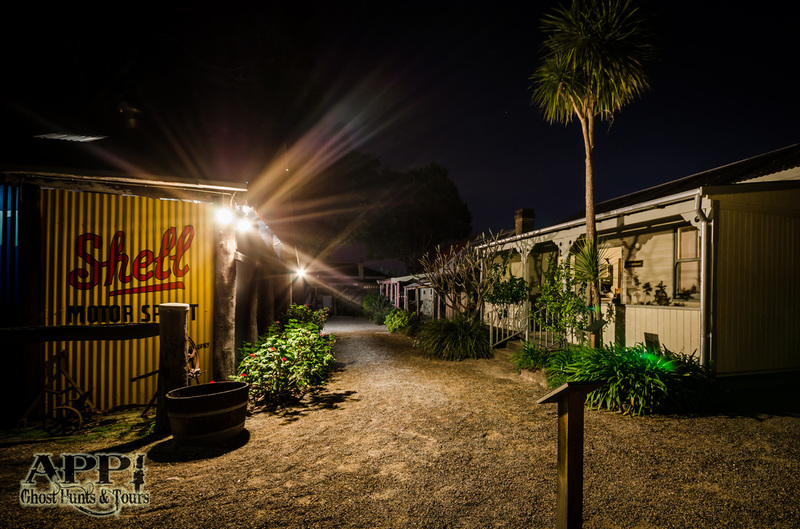 We will be running an intensive 3 hour investigation of the historic buildings on the property of the Fairfield Museum & Gallery. 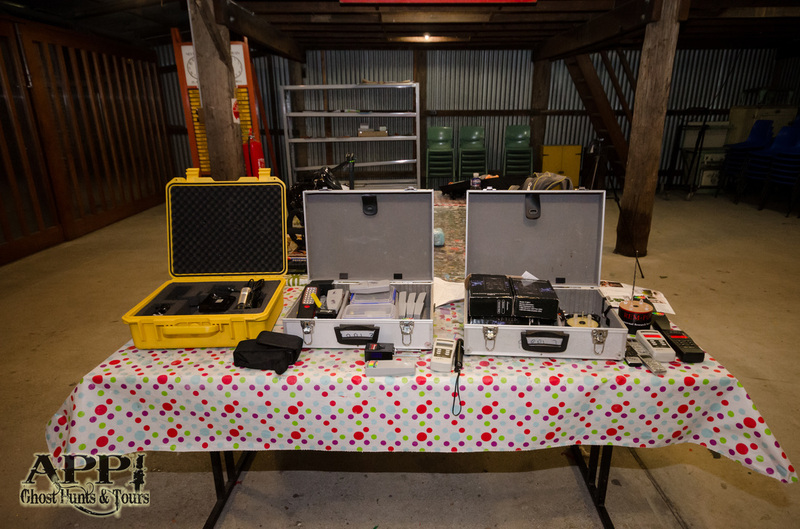 Use our equipment as we attempt to make contact with any spirits who may still linger there. We will be using tried and tested methods of ghost hunting as well as experimental and spiritual elements. Ending the night with a nice cuppa and a light supper, and a debrief on what we think we may have experienced. Is this really the night the dead are more likely to interact with the living? Let's find out! 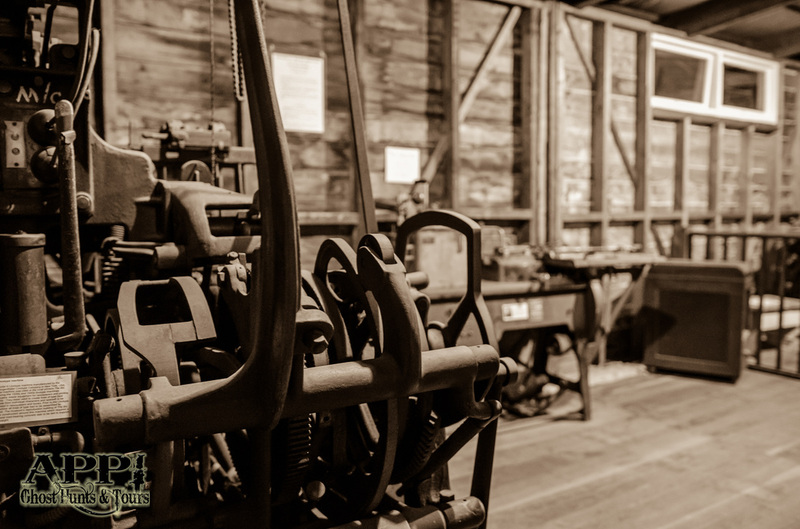 With a select number of people, investigate the historic buildings on this property! Use our equipment, and other experimental methods, to try and connect with the dead.